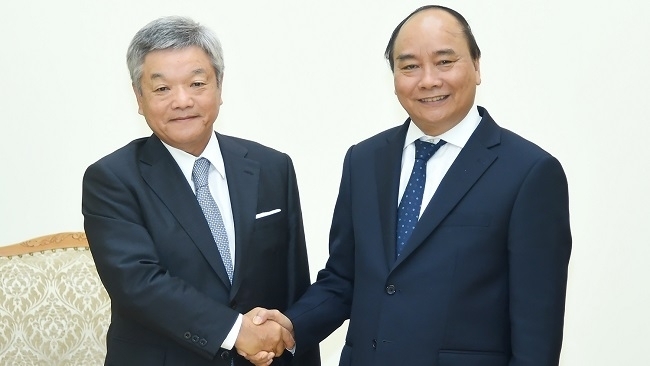 Prime Minister Nguyen Xuan Phuc has asked the Japanese news agency Nikkei to spread the Vietnamese government’s message of creating all possible support for Japanese businesses that wish to operate in Vietnam. 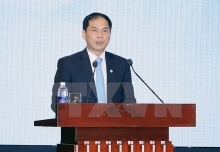 During a reception in Hanoi, on November 15, for President of Nikkei Inc Naotoshi Okada, PM Phuc said that he is impressed with the Conference on the Future of Asia, hosted annually by Nikkei, considering it as a prestigious and important forum for the Asian leaders to discuss issues of concern and outline measures for regional development. He said that he frequently keeps track of news and economic indicators released by Nikkei. Expressing his trust in the prospect of bilateral ties, particularly in the fields of economy, trade and investment, the PM hopes that Nikkei would continue accompanying the development of Vietnam-Japan ties. Okada, for his part, thanked the PM for delivering a speech at the Conference on the Future of Asia held in Tokyo in June. 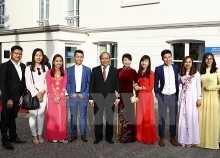 He informed his host that Nikkei worked with the Vietnamese agencies to successfully hold the Hanoi Forum on Vietnam’s economic prospects, during which the Japanese enterprises praised the Vietnamese government and the PM’s efforts to improve the business climate and remove any obstacles faced by the firms. 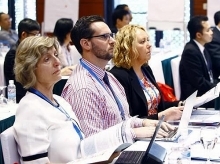 During the recently-closed APEC Economic Leaders’ Week, Japan spoke highly of Vietnam’s efforts to accelerate the Trans-Pacific Partnership (TPP), now known as the Comprehensive and Progressive Agreement for Trans-Pacific Partnership (CPTPP), he said, adding that the initial consensus on the CPTPP is a great success and contributes to the development of Asia. He also raised several questions concerning the trade liberalisation process, business climate improvements and the restructuring of State-owned enterprises.